Carbohydrate sounds like such a dirty word these days. It’s that word that makes everyone cringe or slightly panic, but why? There’s the myth that all carbohydrates are bad, giving people the distorted thought that cutting carbs will help you lose that extra weight you might be carrying. The truth is that not every single carbohydrate is bad. The category of carbohydrates is very broad, so I am going to break it down for you. Let’s start with clearing up what they are. Carbohydrates are your best source of energy, fueling the cells in your brain and muscles. No, carbohydrates are not a food group, but a category with three different types of foods that make it up. This category consists of sugar, starch, fiber, and usual a mixture of these three. Sugar can be naturally found in foods like fruit, fruit juices, veggies, and milk. Table sugar is another form of sugar, found in a variety of processed foods that are not so healthy for the body, but they sure are tasty!!! The second type of carbohydrate is starches, which are several units of sugar bound together. A perfect example for this type of food is plants, which also provide a slow and steady release of energy during the day. Starches are the most common form of carbohydrate and make up about one third of the food you eat and contain fewer than half the calories of fat. Crazy, huh?! Fiber is only found in foods that come from plants and great sources can be found in veggies with skins, whole grain breads, pastas, beans, and lentils. Fiber is great for your digestive health too! If you need more examples of these types of food important to your health, then checkout this link about starches or this link about fiber. But wait, why do we need carbs again? Carbohydrates provide your body with energy, helps prevent disease risk, and aids in weight reduction. Sugars or starches are both broken down into glucose, absorbed in the bloodstream, and fuels your body with energy for activities. Unused glucose can be converted to glycogen, found in the liver and muscles, or converted to fat. Fiber in the diet can promote good bowel health, reduce the risk of constipation, some types of fiber can reduce your cholesterol levels. Are you getting enough fiber in your daily diet? Starchy foods are low in calories, but can be wonderful source of fiber. Fiber keeps you full longer throughout the day and takes your body a long time to break down, helping with weight reduction. Cutting out carbohydrates completely does mean that you might lose some weight, but the minute you add them back into your diet you will gain it back pretty quickly. A balanced diet, taking in the proper calories and nutrients is your best bet! 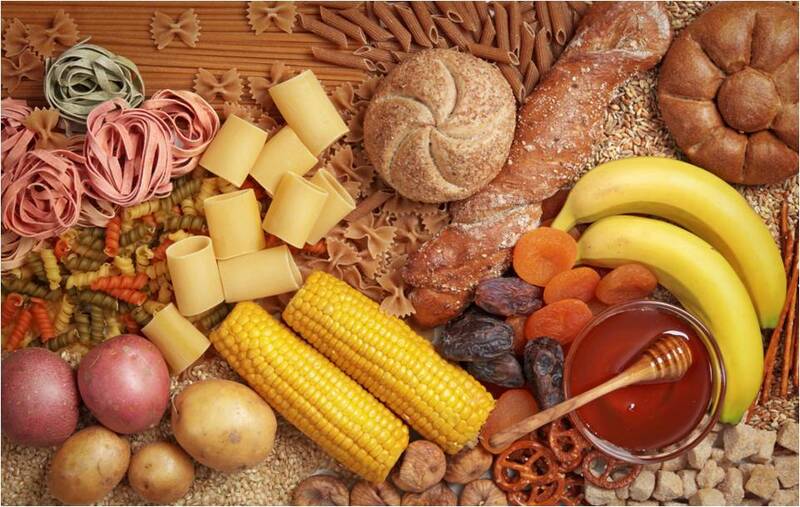 Is carbohydrates still a dirty world in your vocabulary or do you feel relieved that they are not soooo bad after all? Are you still curious about how many carbohydrates you should eat, which ones should you eat, or if you can survive without carbohydrates? You can click this link to find more truth on the nutrient. Click here if you would like one-on-one help from NIFS with your nutrition and overall health. It’s never too late to improve your diet and become the healthiest you! In the first section of this blog, we outlined some of the core elements that frame Maintain Not Gain. They’re the pieces that give the program its powerful punch: it’s team-based, with a little grace, and big time visibility. In part two, we’re going to dive into the facts and see how the program actually works. Weekly emails. Over the years we’ve changed the topics, added emails about current trends, low-fat recipes, stress tips. You name it, we’ve touched on it. In fact, we’d written so many emails over the years for this program that we started wondering about their effectiveness. So in 2012, we evaluated the program and asked participants what other topics would they like to see in the weekly emails. We were expecting to hear about new exciting topics to cover for the next year but what we discovered was that people still wanted to know about the basics; blood pressure, BMI, diabetes, cholesterol, etc. You would think by now with the internet, the news, health magazines, Dr. Oz, the constant feed of this kind of information, that people would be sick of it and know it by heart. For our audiences, that was not the case. So, for our 2013 weekly emails we covered the basics again meeting the requests of our participants. Nutrition education. We know that our members seem to have an insatiable appetite for health education. In particular, they routinely ask about nutrition. Our staff constantly get asked about food, drinks, supplements, fad diets, cleanses, juicing, etc. Turns out, when we asked our participants if they felt the food in their corporate environment was supportive of their Maintain Not Gain goals over the holidays, 15% said no. While we weren’t happy with that percentage, we used that information to communicate with department leads about making different options when providing food for their departments. We have been able to suggest alternatives such as a less calorie dense yogurt bar filled with fruits, granola and healthy toppings, providing smoothies or even bagels made from whole grains and low-fat cream cheese. We’ve also worked with cafeteria vendors so they can put together a healthier spread if they provide the breakfast, lunches or snacks for departments. 90% of the participants said Maintain Not Gain has positively influenced their lifestyle choices for the duration of the program. 30% said they reduced the fat in their own recipes. The biggest reason we’ve been running this program for so long is because it works. From the participants we surveyed, 87% were successful in avoiding any holiday weight gain and 97% said they will participate next year if the program is offered. 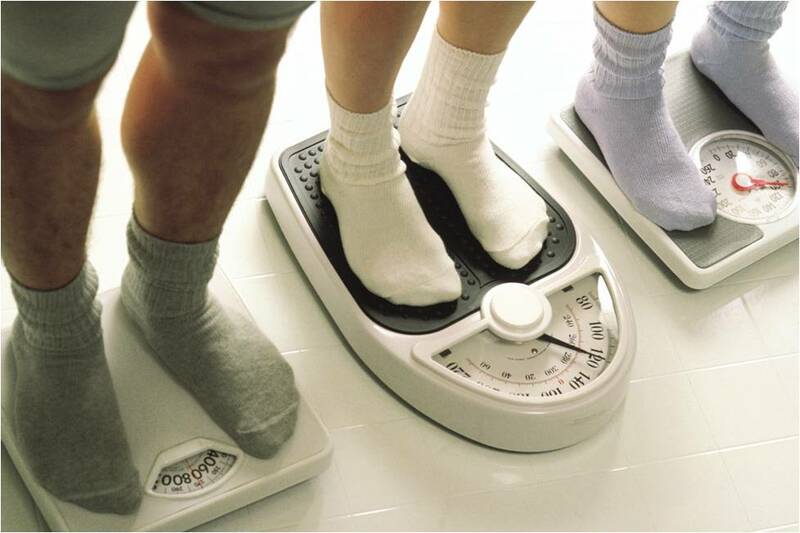 Not only have our participants maintained their weight but we also have many participants who actually LOSE a few pounds. That’s quite impressive over the holidays. In 2013, with one client, we had 2,242 associates sign up for Maintain Not Gain and 1,780 of those participants were successful in maintaining their weight over the holidays. That’s an 80% success rate. Bottom line, we are tipping the scales in the RIGHT direction with our Maintain Not Gain program. There is more to maintaining your weight over the year-end holiday season than simply weighing in before Thanksgiving and weighing out after New Year’s Day. Still, before we go off the deep end with ridiculous claims about holiday or year-end weight gain, let’s get the facts. 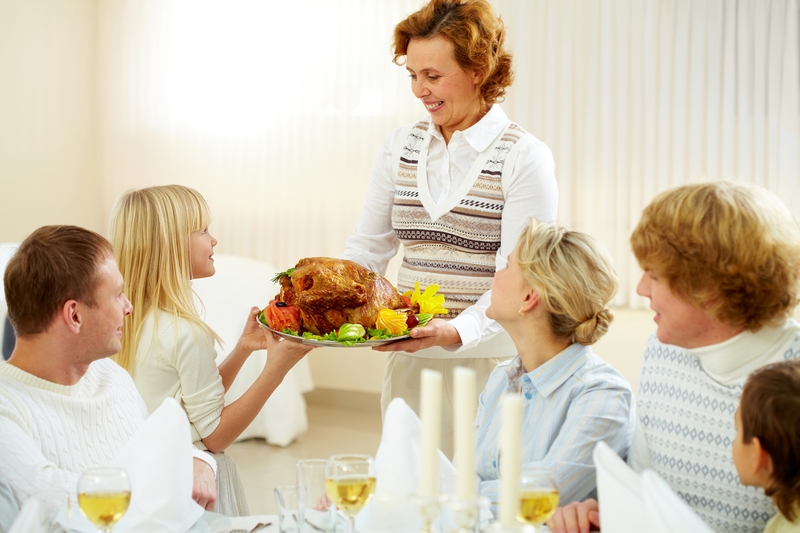 Despite common claims that traditional holiday weight gain is seven pounds or more, the research shows that people typically only gain one to two pounds during the holidays. The problem with that minimal gain is that studies show many people never get those extra few pounds back off and, over the course of an adult lifetime, what once seemed like inconsequential weight gain can become a significant health issue. It’s also worth nothing that at least one study found that adults who are already overweight are more likely to gain five pounds or more during the holiday season. Given that there’s an appetite to maintain weight during the party-going-season that is the holidays, many business have folded holiday weight loss or weight maintenance challenges into their annual programming. NIFS, in fact, has been offering our Maintain Not Gain program to our clients for more than 12 years. And we think we’ve gotten pretty good at it, but our offering is done with a few different, but powerful twists. The Maintain Not Gain program is for people, not robots. We know what it’s really tough to make it through Thanksgiving without overeating, not to mention all the office pitch-ins, family gatherings, and sweet treats that show up deliciously wrapped and calling your name. We also know that body weight is a dynamic number and we aren’t huge fans of putting undue attention on a single number. So, we’ve built the program with some grace by giving each participant a two-pound variance. This program has become such a fantastic tradition for our staff and our members. One of the ways that some of our sites elevate the initiative is by renting a multi-person scale so all four team members can get on at once for a total weight. In this case, we do public weigh ins and weigh outs. It creates quite a scene as participants giggle and gasps when they see the weight of four people! For fun, we also set up a competition where we offer prizes for the most creative team name and let all the participants decide the winner. A few of my favorites from last year were, Thin it to Win it, Jingles over Jiggles, Dreaming of a Lite Christmas, and Mission Slimpossible. In part 2, of this blog we’ll cover the “how to’s” of our program so that you can get busy building this promising program for your own network. 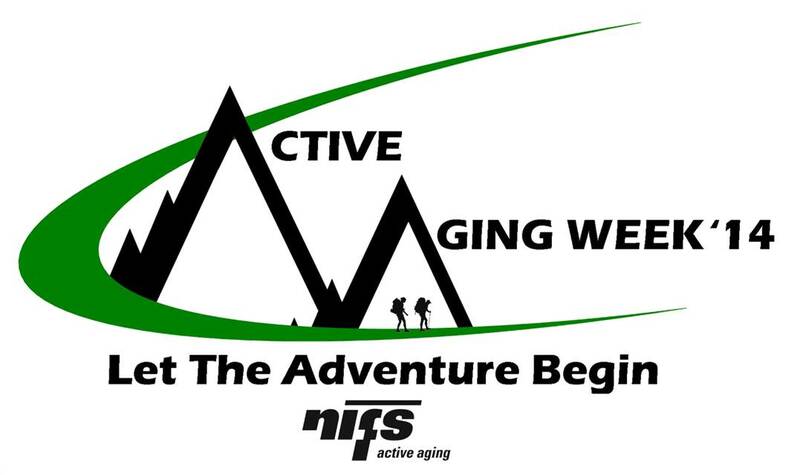 Active Aging Week: What does it take to plan a successful event? It Takes a Village: for an over the top successful Active Aging Week, we’ve learned that the more involvement we include from different community staff, the better! When residents hear about various staff and departments being involved in the planning of the events, they won’t be able to resist getting caught up in the buzz and excitement. As we map out our events for each day of the week, we flag which programs could benefit from the added skill sets and passions of other community personnel (not just your activities and fitness staff) as well as resident volunteers. We then spend time working with these folks on their creative ideas and how they can contribute to the program in a way that is meaningful and fun for them! When you plan well in advance and can speak with staff about how they could volunteer, you have time on your side to coordinate this additional layer of community involvement! Set Your Event Apart: our staff have annual planning calendars of the various fitness and wellness programs they already offer to residents each month of the year. It takes an additional effort from a planning standpoint (what can we do that is fun, creative, innovative, etc. ), but also from a marketing standpoint to help Active Aging Week rise above the rest. It’s a lot of work (fun work mind you, but work none-the-less) planning daily events, so we like to take it to a new level to make sure we get the participation! Diversify “Active” Offerings: when residents hear “Active Aging Week” it’s important to help them identify that the week isn’t just about those who are physically active. As we map out our day to day plans for week, we reflect on the eight dimensions of wellness and ensure that each one is touched on in some way or multiple ways throughout the week’s events. This can span more resident interests and abilities than simply focusing on physical activity options alone. It’s important to recognize residents for being active in the community in a way that is meaningful for them so don’t overlook these opportunities to diversify your program options. Add Some Friendly Competition: residents often ask our staff what kinds of programs and participation NIFS has established at other communities - they can’t fathom that any community could be as active as theirs (insert our sly smile here…) During Active Aging Week, we report daily participation totals in the events we plan for a friendly competition amongst the communities we serve. Staff report daily standings on a printed display board and communities are able to see how their participation fairs to other communities (scores all are weighted of course to account for varying occupancy levels). Residents truly rally together inviting their neighbors to events to best represent their community’s active lifestyle. Collaborate with neighboring senior living communities or create an internal competition with a focus on daily participation goals! Whether you are offering a small or large scale Active Aging Week this year, kudos for your efforts in supporting an active and engaging lifestyle for the seniors you serve. Best of luck for a successful year! 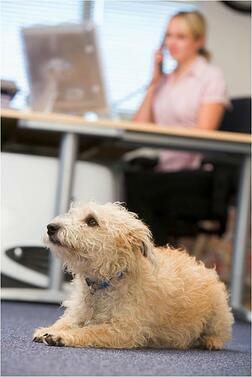 Do office pets decrease stress in the workplace? This recent article we shared on Twitter explained the positive effects that a pet can have in a work place, and based on how much traffic we saw from that single posting, it would seem that many of you are pet lovers like me. What do you think about pets in the workplace? Most employed people are on a constant search for methods to reduce stress in the workplace, improve their personal health, or maybe even increase productivity at the same time. I mean who has ever heard of not being stressed while getting loads of work done, what??! The article mentioned that employers actually notice a benefit from the having pets around, bringing energy, fun, and companionship. I see pets as great company and comfort. A great example given was the case that pet owners may work longer hours if they are able to bring their pet into work. This would save them from the rush to get home at the end of every day to let their pet out. I know that letting my dog was always a constant thought in the back of my mind. I noticed a higher stress level, worrying about her and how she is holding up at home. Does anyone else have that constant worry? Randolph Barker, a professor of management in Virginia Commonwealth University School of Business, performed a study in 2013 of dogs in the workplace. The results showed an actual decline in stress among workers, while those who didn’t have pets in workplace showed an increase in stress as the day continued. Among other studies, interaction with pets can lower blood pressure and improve a person’s mood. It is crazy to think the littlest things, like pets (sometimes they are little), can be so beneficial! Before everyone gets all antsy and starts bringing their pet to work, it is suggested that a written policy be enforced. This can prevent liability and keep a clear policy with all things considered - allergies, cleaning up after pets, and the possibility of aggressive behavior. If this option is not considered, there is always The Take Your Dog to Work Day event sponsored by Pet Sitters International, who set aside a day in June to allow those with pets celebrate pet ownership and bring their pets into the work place. This would be a fun day to see so many pets in the work place! Personally, I know my day would brighten up pretty quick! Think about suggesting this to your employer. Who knows, they might consider the day or year round event! If you follow our blog, you know we like to post about the cool stuff our fitness management staff are doing for the members at our client locations. For example, in this blog, we talked about some popular National Senior Health and Fitness Day activities that were a huge hit in one senior living community. In fact, we've dedicated an entire series to some of our active aging staff best practice programs and services. This blog post fits right in with our practice of sharing the programming love. Our manager saw a need to bring the golf course to residents who were no longer comfortable going to the local course for a round of golf. On a tight budget, she creatively used mostly pool noodles to build a course in the multipurpose room. 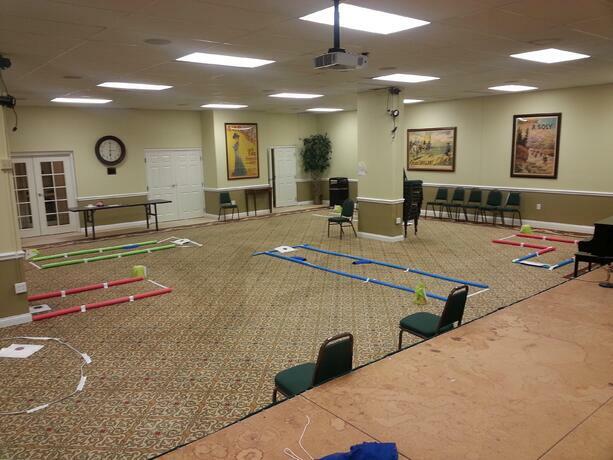 Check out the pictures below to see how she brought the putting green indoors. 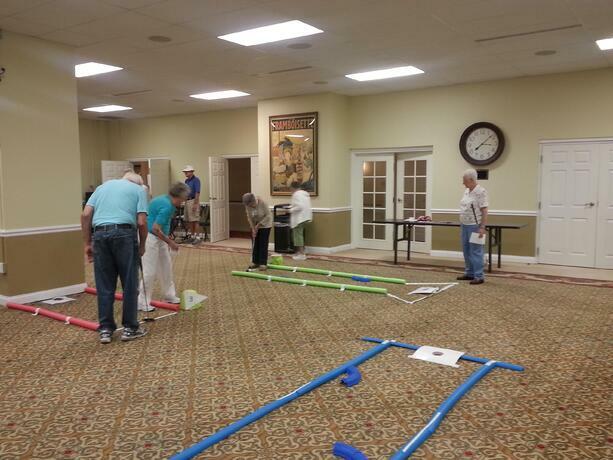 NIFS manager, Lindsay Knox, laid out a collection of pool noodes to create an indoor mini-golf course at the community. She marked each hole, gave the residents score cards, and set them out to putt away. In the picture below, you can see some of the obstacles set up in various holes. The residents who participated were thrilled with Lindsay's creativity (and so were we!). For more great ideas from NIFS that you can bring to the lifestyle programming at your community, subscribe to our best practice campaign.